Sometimes I get tickled when I think about how clever we think we are in the 21st century to recycle and upcycle. Our ancestors did it out of necessity! They used everything fully, and repurposed everything. From an artist perspective, I enjoy how they made quilts and rugs from worn out clothing and even made jewelry from women’s hair. I find it so creative and I cherish the few pieces I have acquired. My mom can point out her pajamas that were used in the quilt my mamaw made when she was a young girl. 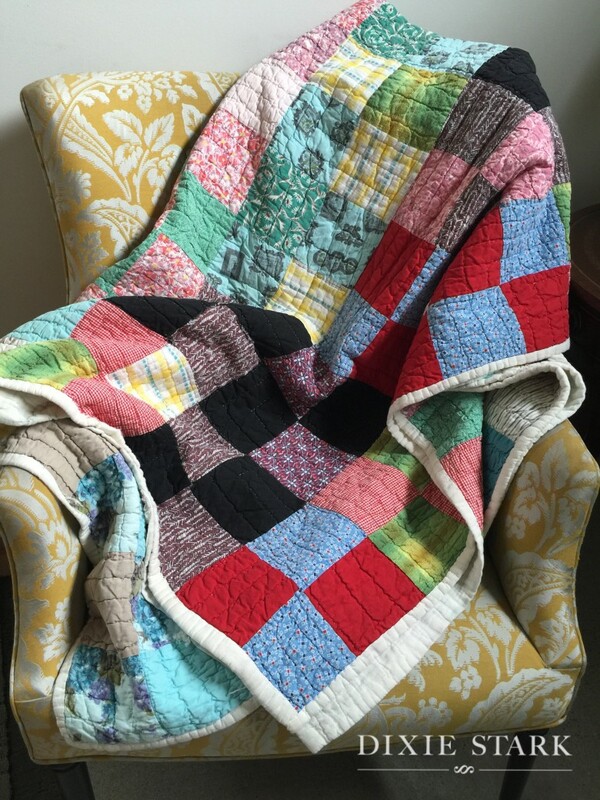 I am happy to say that quilt is in my possession and and featured at the top of the page on my favorite chair. Recently, I had the opportunity to visit with one of the best upcyclers in the business, Kirk Albert, in Seattle. He agreed….history has proven successful in recycling and upcycling and we still today collect those items as treasures. 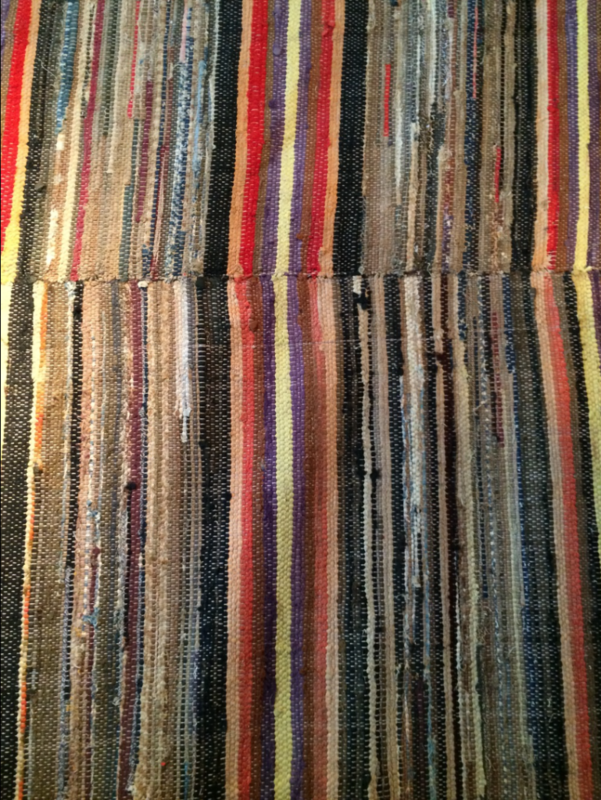 Kirk has an amazing rag rug hanging in his shop right now that proves just that. Most likely this was also constructed from remnants of old clothing and who knows what. Again, I am fascinated we think this is such a new concept!